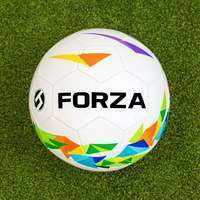 FORZA Football Rebound Wall made from galvanised steel. 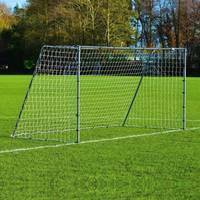 Double sided football rebounder with a 2mm spring-loaded net. Multi-skill training tool. Two sizes. 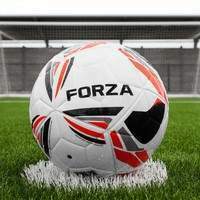 Need another type of football training rebounder? 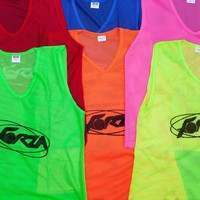 View the entire range here. 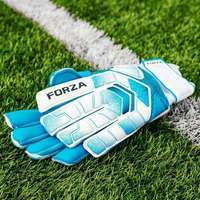 The FORZA Football Rebound Wall provides rebounds and bounces which mirror the unpredictable nature of a real match. Sharpen your reaction speed and quick feet with this football rebounder, while developing your passing technique and close control in the process. Manufactured from robust galavanised steel, the rebound training wall is long-lasting and high in strength. Featuring a 2mm spring-loaded net, the large rebounder allows you to tailor your training to your ability, reacting to the pace of the delivery due to its taut netting. 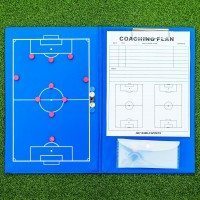 The double-sided design of this premium quality training rebounder makes it perfect for use by a single player as well as an entire squad. Its freestanding nature makes it perfect for use on any surface without the need for fixing. 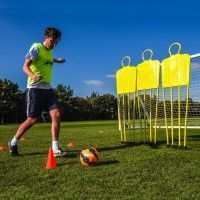 Ensure that your players reactions are sharper than the oppositions by adding this football rebound wall to your training set up. 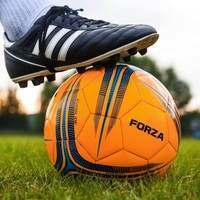 Providing unpredictable and erratic bounces, the spring-loaded football rebounder will help to develop key attributes such as ball control, first touch, passing and volleying. 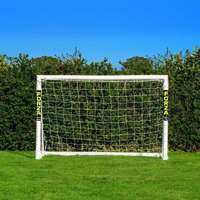 Featuring an incredibly taut net and a sizeable target to aim for, this is the best football rebounder net on the market. 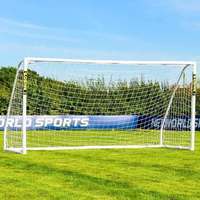 Whether you’re training on your own in the garden, or practicing your touch and technique during club session, the multi-purpose football bounce back net will cover all bases. 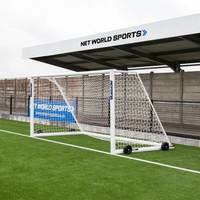 Its large and wide double-sided netting facilitates simultaneous training drills, making this rebounder net incredibly versatile and high in value. 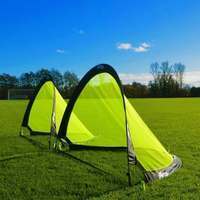 With two sizes to choose from, the football rebounder can be used as youth training equipment as well as by first teams. 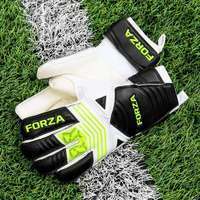 At FORZA we pride ourselves on providing premium quality training equipment which is built to last, and this rebound net for football training is no different. Its high strength galvanised steel frame is incredibly long-lasting and perfectly adept at withstanding consistent punishment during regular training drills. 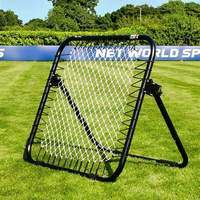 Featuring a cutting-edge 2mm tensioned spring-loaded net with reinforced edges, this dual-sided rebounder provides consistent performance during countless high intensity training sessions. The freestanding rebound trainer is suitable for use in home training in the garden as well as during organised club coaching sessions. Due its non-permanent design, the football rebound wall can be applied to all surfaces, including indoor pitches as well as outdoor. 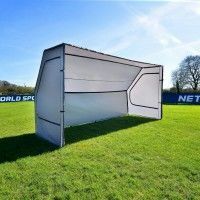 This football rebounder is extremely easy to maintain, but this high-quality piece of training equipment will leave a lasting impression on your set up. 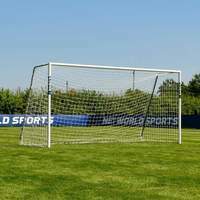 For a net so tall, have there been any complaints with it tipping over frequently, on hard shots? Hello Jason, thank you very much for the question. I don't think we have ever received any complaints about this. 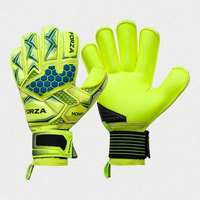 I have tested the product myself recently and it's incredibly sturdy when used correctly. 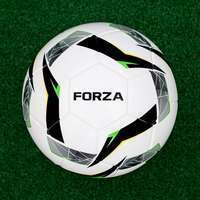 Please note, it is not used to strike the ball at as if you were trying to score a goal. It can withstand a decent impact, just don't get to carried away! how easy is this to build?